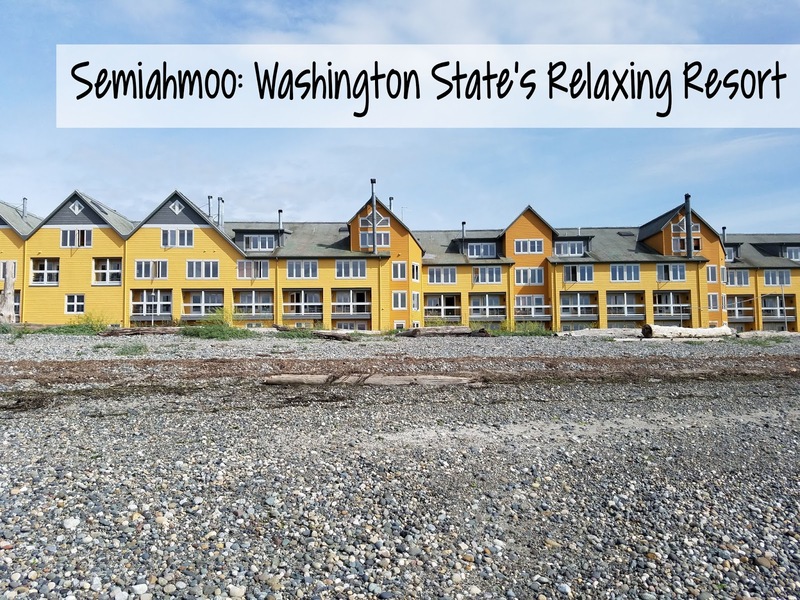 Before I even went to Semiahmoo I recognized it when I looked it up online from lots of pictures I have seen of Washington State. The beauty of the resort can not be beat and the best part is that it is affordable! It is quite a feat to find a resort in this day in age that has everything you would want and won't break the bank. The reason I say Semiahmoo is a hidden gem is because it is on the coast in a little town right at the border with Canada and if you blink on I-5 you will miss the exit for it end up in Canada. I can say hands down I will go back again soon because it was so beautiful! James and I went to Semiahmoo after we got off of our Holland America cruise from San Diego to Vancouver. 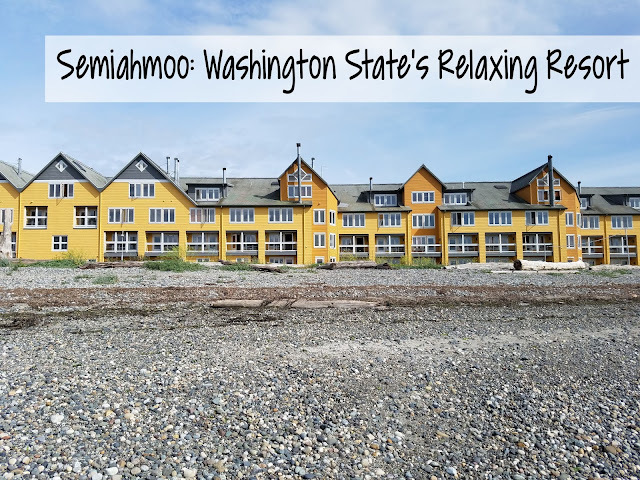 It is a quick drive down across the border and for us was a great stop before we headed out of Bellingham, WA airport to go back home which has very affordable rates and direct flights to places like San Diego, Las Vegas, and Los Angeles. Getting to Semiahmoo you have to drive down the tree lined Semiahmoo peninsula with Drayton Harbor on one side and Birch Bay on the other. On the drive you also pass by their spectacular golf course which also has FootGolf. 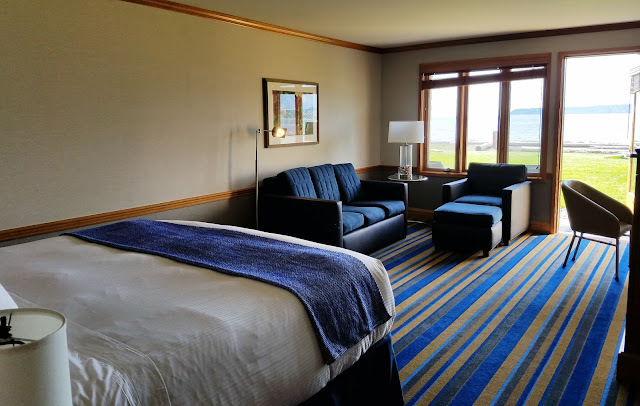 Once at Semiahmoo you walk into the beautifully appointed coastal decorated resort. You can have a waterview or a classic room which overlooks the trees. We stayed in a first floor king waterview room in which we could walk right outside on to the lawn and on to the beach. Now remember the water is cold though so if you feel like having a chilly time feel free to go in but you can also go in their wonderful pool located in the spa and fitness center. During low tides you can walk out quite a distance and see what was in the tide pools. To say this view is beautiful is an understatement. Getting back to our room we had a very comfy bed with a pullout couch a wet bar area and a nice little patio with two chairs to watch the water roll in. For dining there are a couple choices the first being Packers Oyster Bar which serves local and regional oysters along with burgers, pizza, and fish and chips. They even have gluten free crust which is pretty good! You also have Pierside Kitchen which has beautiful views of Drayton Harbor along with amazing food sourced from the local and regional areas. The chef is very creative with his flavor combinations and plating which just bring the whole experience together. I recommend the scallops,short ribs, and for dessert any of their homemade sorbets. The resort also has a beach bbq on Friday and Saturday nights with items like salmon, burgers, ribs, and chicken. You can also find an array of great comfort food at the Great Blue Heron Grill at the Semiahmoo Golf & Country Club down the road. Whichever restaurant you pick you will not be disappointed! After dinner we had a private bonfire. You can arrange for this as well but if you do not want to spend the money for a private one they have a bonfire every night with s'mores for all the guests at no cost! Ask to look at their cigar collection and buy a cigar to enjoy as well. There is nothing better than sitting on the beach by a fire making s'mores watching the sunset! HEAVEN! The next day we woke up early and were sad that we only had 1 day at this resort! We will be back you can count on that!!! Before we left I visited the spa and fitness center where they have a swimming pool and hot tub, exercise equipment, tennis courts and most importantly treatment rooms. The massage therapists are very good and I caught myself falling asleep a couple times! Till we meet again Semiahmoo!